If you often work on several different computers, usually you'll often fell difficult to store your files. Indeed, you can just as easily save your work into a flash drive. But, what if you forget to bring your flash drive when it is needed? or what if suddenly your flash drive is lost? Obviously you will lose your job data. To ensure the files of your work will always be there when you need, you can use SugarSync service. SugarSync is a file synchronization service. When you finish doing something in public places such as cyber cafes, you can save your work earlier into the cloud server provided by SugarSync. Then, you can synchronize files when you have arrived at your office to get the files you saved before. Very practical is not it? So, by using SugarSync, you will be able to always access your files when you need in any place and anywhere. SugarSync is not the only synchronization service you can use. 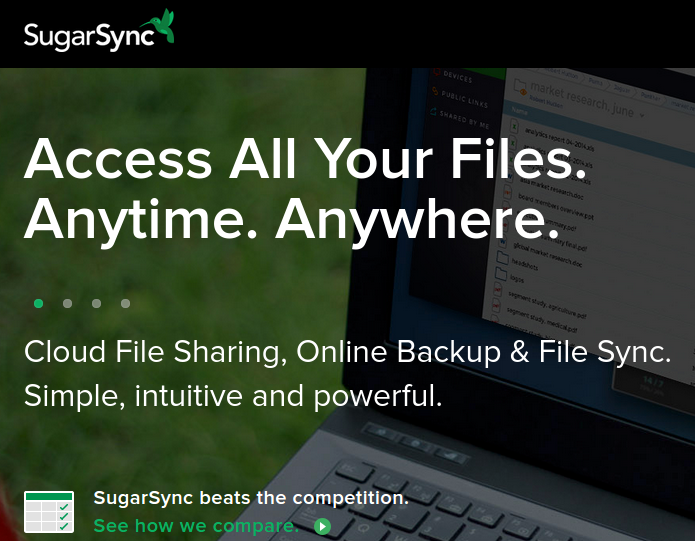 But, SugarSync is one of the best cloud storage service. SugarSync is very easy to use. In fact, because its interface is very easy to be understood, you will not have problems even though you may have never experience before with file synchronization. One of the good things of SugarSync is the application available for almost all platforms. So, you can use SugarSync with your computer using any operating system or using Android and other mobile gadget, and so on. Thus, you can always access your files, even if you use a different gadget types. And of course, you also no longer have to bother with the flash drive wherever you go. You do not need to spend a lot of money to get SugarSyn service. In fact, you can use this file synchronization service for free if you do not need a large storage capacity. To start using SugarSync, the first thing you have to do is visit and register at sugarsync.com. Then, you can sign up to get an free account. SugarSyn free account users get 5GB of storage capacity. To use SugarSyn, of course, you need to install its client software. You can do this before or after registering your account. You do not need to worry about the security of your data because SugarSync guarantee safe. However, one thing you should remember is a file synchronization service and not a back up service. So, when you are finished to synchronize files from your computer, you have a choice to delete the files or keep it on sugarSyn cloud storage. Free clouds it's insane, because it didn't give to your company a lot of opportunities.